Some of the earliest known use of vanilla was in temples around the Gulf coast of Mexico. 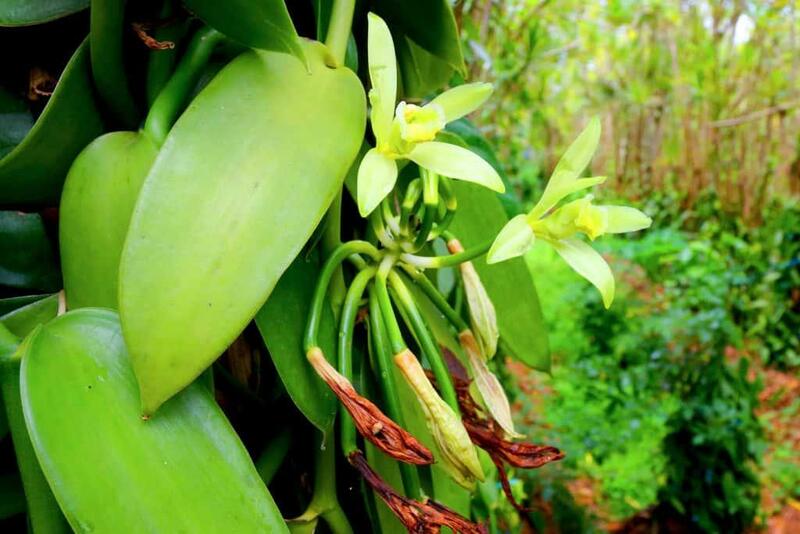 The Olmeca people were perhaps the first to use vanilla as a flavoring in drinks. The Totonaca people of the Gulf coast of Mexico were likely the first to domesticate vanilla. The plant and the spice continue to be a sacred and important part of their culture as they consider it given to them by the gods. In the 1520s, vanilla left Mexico on ships bound for Spain. It was originally imported as a perfume and later it was discovered to also be an excellent flavoring for beverages and sweets. For 300 years, no one was able to get the orchids to bear fruit. Then, in 1836, it was discovered that a miniscule bee (the Melipone) was the sole pollinator of the vanilla orchid. Outside of their native habitat of Mexico, vanilla plant flowers must be hand-pollinated in order to produce the fruit. This means all the vanilla coming from other countries is hand pollinated. You can understand why vanilla is the most expensive spice after saffron! Each orchid blossom lives for only one day before the next one on the stalk opens. So even though you have just a day to pollinate a flower before it dies, don’t worry, there will be another the next day. Once a flower has been successfully pollinated, the petals don’t fall off but wither to a dark brown (see blog header photograph). The former flower stem elongates into a 6-10” skinny green bean-like fruit. The fruit then matures on the vine for the next 6-9 months before it is ready for harvesting. When the pods are firm and fully formed, they are picked and cured. Some producers prefer to just let the pods dry in the sun, but many growers scald the beans in hot water or steam before the drying process. The vines need a sturdy pole, post, or trellis to climb. Provide lots of bright light but not the direct sun which could burn the leaves. If you live in a dry climate, we recommend daily misting or setting up a small humidifier in the room (all your plants will benefit!). Water when bark substrate dries. Root rot is a problem that is caused by overwatering and poor air circulation. Feed with a typical orchid fertilizer, following the instructions on the label. When your orchid flowers, if you do decide to try for fruits, use a toothpick or bamboo skewer to hand-pollinate. « Grow Your Own Lettuce at Home!